Will Glee Be Banned from UK Television? Will Glee be banned from UK TV? A midlands businessman won a High Court trademark battle over the use of the name and so that just might be the outcome. Let’s see what’s going on here. Glee, the long-running US TV series about a group of high-school entertainers, could be removed from UK screens after a Midlands businessman won a High Court trademark battle over the use of the name. Mark Tughan runs comedy and music venues in Birmingham, Nottingham, Oxford and Cardiff called “The Glee Club”. He registered the name as a UK trademark in 1999, some 10 years before the TV show arrived. 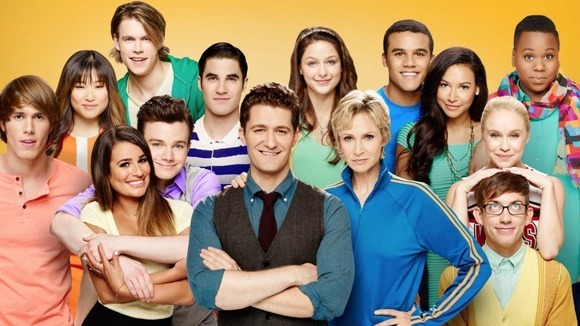 It was argued in court that potential customers stayed away from the Glee Club venues, mistakenly assuming them to be associated with the series, which is due to resume its fifth series in this country on Sky1 next month. In a 5 day High Court trial last Summer, senior network executives from Rupert Murdoch’s Fox TV were flown in to contest the claims, saying they had no prior knowledge that the comedy clubs or their trademark existed. Today, after a two and half year legal row, the High Court ruled in Mr Tughan’s favour. I have found that there is a likelihood of confusion. Continued use cannot be in accordance with honest practices. The Deputy Judge agreed that some potential customers would be discouraged from going to the Glee Club venues in case they were connected to the TV series. Fox’s lawyers could be allowed to appeal the decision but the court will decide how matters proceed. This could include the removal of future episodes and repeats of the show from UK TV schedules, or re-branding the show altogether. Glee CD’s, DVDs and music downloads could also be banned from sale in this country. Will Glee be banned from UK television? We think the show could continue under a different name. All they really have to do is add a few more ‘eeeee’s’ to the name, right? Look out — here comes Gleeeeeeee!